Retired RAF officer Jimmy Jones made the demand yesterday after winning his long battle to ensure all deaths of military personnel in Scotland are subject to a fatal accident inquiry (FAI). And he was backed last night by the widow of Squadron Leader Sam Bailey, who died in the Tornado GR4 crash five years ago. Fiona Bailey welcomed the law change, and said it felt like military deaths would be taken “more seriously by society” as a result. From tomorrow, the law will change to remove a “ridiculous” anomaly which meant the deaths of servicemen and women were not subject to automatic FAIs, which were already mandatory for almost everyone else killed at work. The Scottish Government moved to close the loophole after the issue was repeatedly raised by Mr Jones and former Moray MP Angus Robertson in the wake of the collision between two jets from RAF Lossie in 2012. And as the fifth anniversary of the disaster approaches next month, Mr Jones said the reasons for the controversial decision not to hold an FAI into the Tornado GR4 crash were “no longer acceptable”, even if the new law cannot be applied retrospectively. Newly-elected Moray MP Douglas Ross urged the Lord Advocate to accept any request for an FAI from the families of those killed on July 3, 2012. The crash happened in bad weather, seven nautical miles south-east of Helmsdale, at about 920ft, as the crews were on separate training missions, headed for a firing range at Tain. It killed Sqn Ldr Bailey, 36, Flight Lieutenant Hywel Poole, 28, and Flight Lieutenant Adam Sanders, 27, while a fourth airman, Squadron Leader Paul Evans, survived but was badly injured. Last night, the family of Flt Lt Poole welcomed the removal of the exemption for military personnel from automatic FAIs as a “positive outcome” and praised the “hard work” of Mr Jones for helping to deliver the change. And Mrs Bailey – who was working at the former RAF Kinloss base at the time of the crash – said: “I absolutely back this, it feels like military deaths are being taken more seriously by society this way. “To have an inquiry in public view is preferable to accepting the findings of the Ministry of Defence. “Although we are now five years down the line, what happened still hurts. “An inquiry won’t prevent something like that happening again, there were so many factors at play in the 2012 crash. A damning Military Aviation Authority (MAA) inquiry into the incident found 17 contributory factors led to the collision – including the lack of an effective care plan for Sqn Ldr Bailey, who had developed a fear of flying at certain heights, and the failure to fit a crash warning system in the jets. A total of 42 recommendations were made and the Ministry of Defence accepted liability for the tragedy. But in 2015 the Crown Office decided not to hold an FAI on the grounds that the MAA probe was more wide-ranging than an FAI would have been. The move left the bereaved families disappointed, including Mrs Bailey, who had called for an FAI so that lessons could be learned. Mr Jones, a retired RAF flight lieutenant who had made the case for the rule change to Holyrood’s justice committee, welcomed the amended legislation, but called on the Crown Office to take the opportunity to review its decision not to hold an FAI. 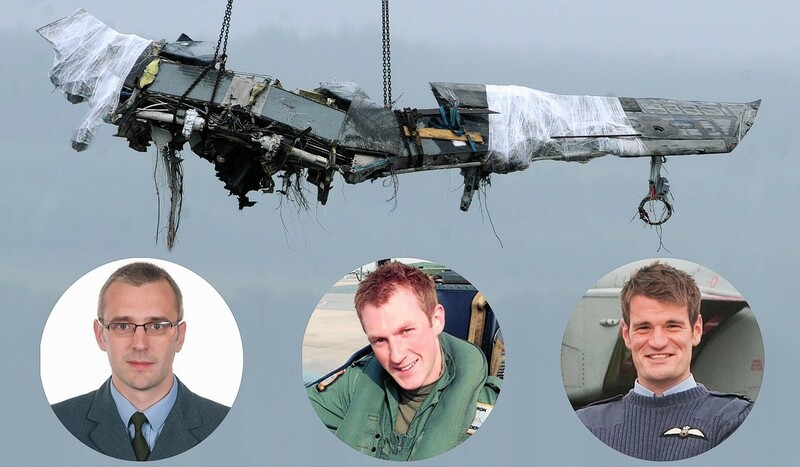 Under the previous rules, a court hearing into the 2012 Tornado crash was not mandatory as the RAF Lossiemouth crew were not considered to be “at work” on the day they died. The decision was understood to have been made on the grounds that armed forces members are not technically contracted but are “appointed by the Crown”. The FAI system is now being modernised through the Inquiries into Fatal Accidents and Sudden Deaths etc (Scotland) Act 2016, which comes into force tomorrow, but is not to be applied retrospectively. A Scottish Government spokesman said: “It has always been possible for a discretionary fatal accident inquiry to be held into a military service death in Scotland.